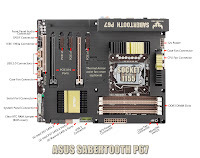 Up for review today is a very interesting board from ASUS, the Sabertooth P67, which is a member of the ASUS TUF series (The Ultimate Force). 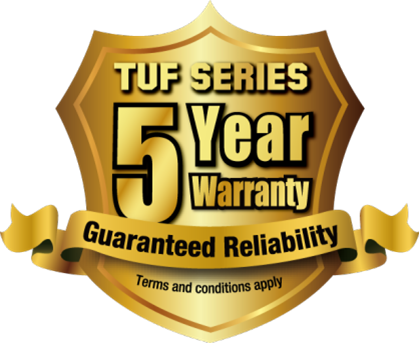 The ASUS TUF series is built for endurance and stability and includes only top of the line components. 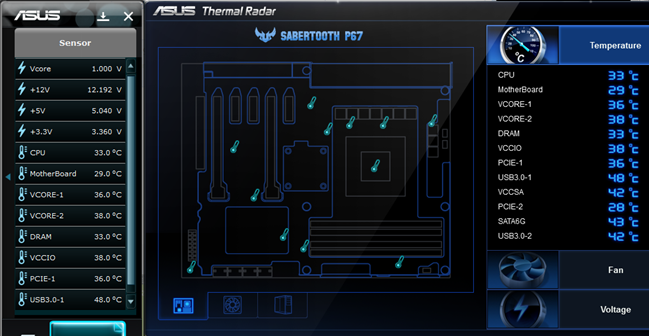 The Sabertooth P67 is no exception to that rule and is indeed a very unique board in that it offers an innovative cooling system that ASUS calls “Thermal Armor”. I will be going over the details on how effective Thermal Armor is later in the review. There are many other features on this board that will be enticing to anyone wanting a solid platform to build a reliable workstation on. As you can see below there is an impressive list of components included with this board. 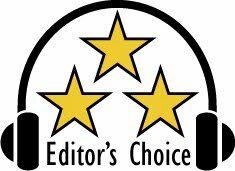 We will touch on more of these features as we go through the review. This is without a doubt one of the most unique looking boards I have ever seen. The Thermal Armor looks very cool (pun intended) and at first I thought it would complicate the install, because the mounting holes are recessed under the Thermal Armor, but it was no problem at all. The use of a magnetic tip screw driver will come in handy. I did notice that the CMOS battery is under the Thermal Armor and was a little concerned about having to remove it in the event I needed to force clear the BIOS but ASUS has conveniently provided a reset jumper outside the Armor to clear the BIOS settings. You should only need this in extreme cases as the board has built-in logic that will automatically revert to fail safe settings on post errors. Keep in mind that a full A/C power off will be needed to activate that mode. I installed a COOLER MASTER Hyper 212 Plus CPU heat sync/fan without any problems and my G.SKILL Ripjaws X Series 8GB (2 x 4GB) DDR3 1600 memory snapped in very easily and without issue. It is a tight fit on the memory with this particular CPU fan so I installed the memory first. Because the Thermal Armor is designed to work with a down draft CPU fan, and mine was not, I decided to install a 50mm fan on to the board to get the maximum effect of the Thermal Armor. To my dismay the mounting screws for the fan that I bought were not long enough to mount the fan to its designated location but ASUS was kind enough to include some long mounting screws for this very purpose so it worked out just fine … ahh, all better now. One of the nice features on this board is the inclusion of an extra set of SATA 6GBs ports with a Marvell controller giving you even more flexibility on adding some fast storage to your rig. One thing I did not like was their location on the board. Instead of coming straight up from the board they are turned 90 degrees and you have to install them from the side which is very hard … at least in my case and I have a fairly large case. 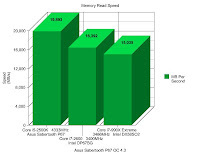 But, I understand the SATA location is preferred by most users and won't get in the way of larger graphics cards. Luckily my drive cage comes out so it gave me more room to plug them in. ASUS includes two each of SATA 6GBs and 3GBs cables so I just plugged them and tied them up to avoid having to finagle them in later. This board has plenty of USB connections. With 14 USB 2.0 ports (6 ports at mid-board, 8 ports at back panel) AND two NEC USB 3.0 controllers (2 at back panel and 2 at mid board for front panel support) it brings the grand total up to 18 USB ports! I can’t imagine ever using that many but it is nice to know they are there. The Sabertooth P97 also incorporates a Q-Connector for quick installation of the case power switch, reset switch and HDD LED’s. Just slide the case wires onto the Q-Connector, to their well labeled positions and it easily slides onto the motherboard … much easier than before! 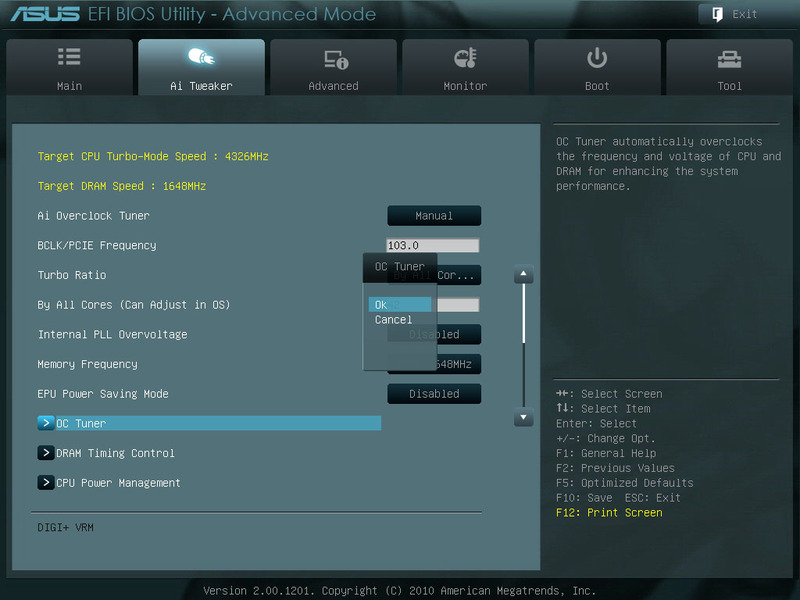 Ahh now we get to talk BIOS … WOW th e new EFI BIOS is awesome! Very user friendly and easy to navigate … you can even use a wheel mouse now! 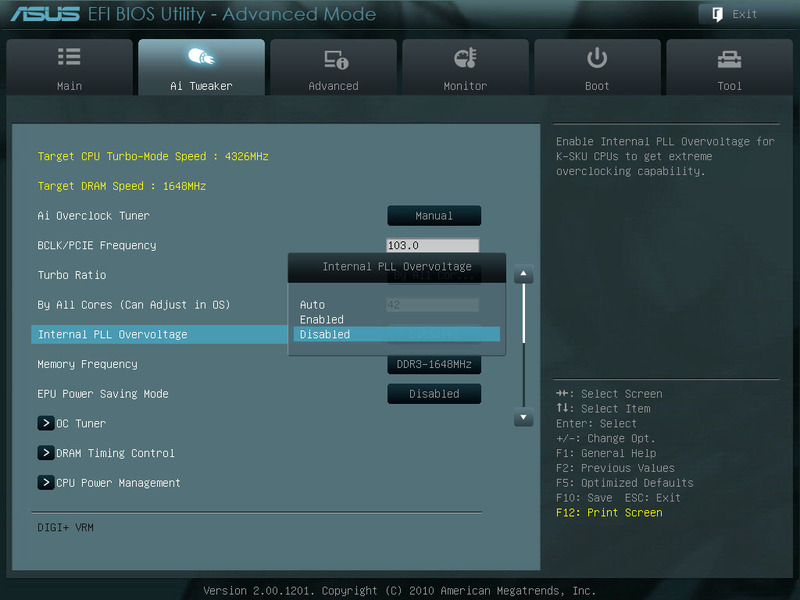 There are two modes on the EFI BIOS, EZ and Advanced mode. 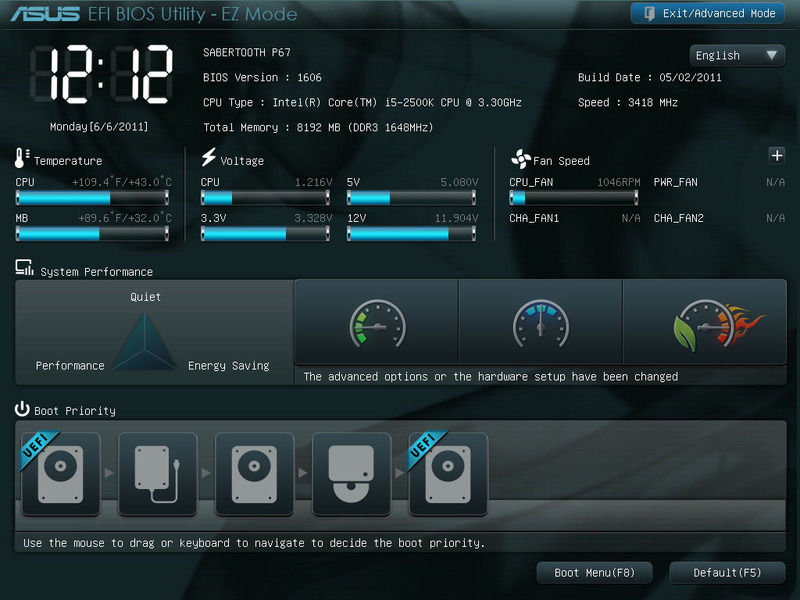 The EZ mode is very basic and allows you to easily select the boot device and your system performance level, mainly for how fast the fans will be running. 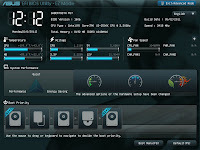 Once you get into the advanced mode you have total control over all of the installed components and overclocking capabilities. 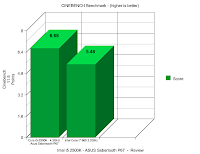 If you are unfamiliar with overclocking and are a little nervous about burning up your system ASUS has made it so easy by doing all of the performance tuning with the click of a button. You simply go to the AI Tuner and select OC Tuner and click OK and the system will automatically reboot (multiple times if necessary) and come up with the best settings for a safe overclock. My i5 2500K 3.3Ghz chip overclocked to 4.3GHz and has been running stable for weeks with daily use with no problems at all. You can also save “profiles” so you can easily switch your timings and power settings to different performance levels with a quick reboot. It is so easy now. 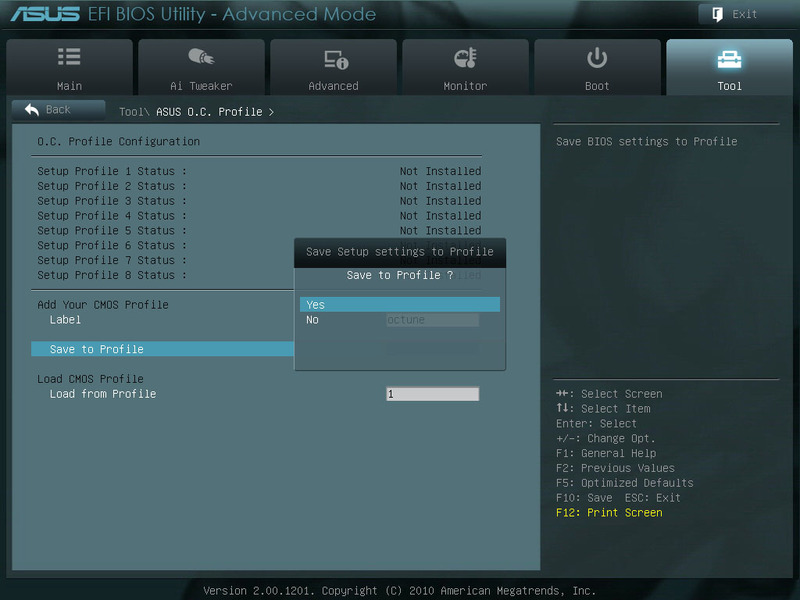 BIOS flashing is easy as well. You simply download the latest ROM to a USB flash drive (FAT 32 formatted) and go to the Tool menu and select bios upgrade and it will walk you through the process. You can even change the graphic that shows on the post screen, again very easily done. Needless to say I was very happy with the new ASUS EFI BIOS. OK let’s talk shop no w. This board is built solid and as the name implies is very TUF. The Sabertooth P67 incorporates only high-grade, rigorously-tested components. 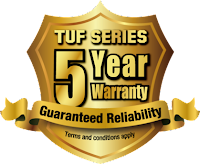 They perform amazingly well even under the most demanding conditions. All of the capacitors have undergone thermal shock tests to ensure continuous, stable operations even during rapid temperature changes. So if you have an erratic air conditioner this will come in handy … just kidding … the fact that they CAN go through this and survive speaks volumes about the build quality of the board. In fact, all its capacitors and VRM MOSFETs have been certified for military-level use through stringent independent laboratory testing. 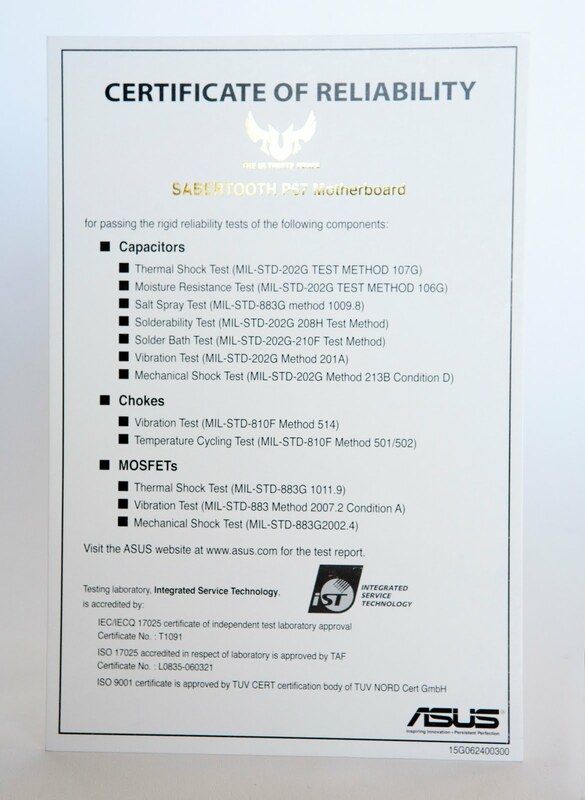 It is obvious that ASUS is serious about the durability of this board because of the 5 year warranty and they even went through the trouble of including a certificate of reliability showing what tests were performed on the components of the board. You may have noticed that this board only has an 8+2 digital phase power setup while some of the other high end boards have 12+3 digital power phase. 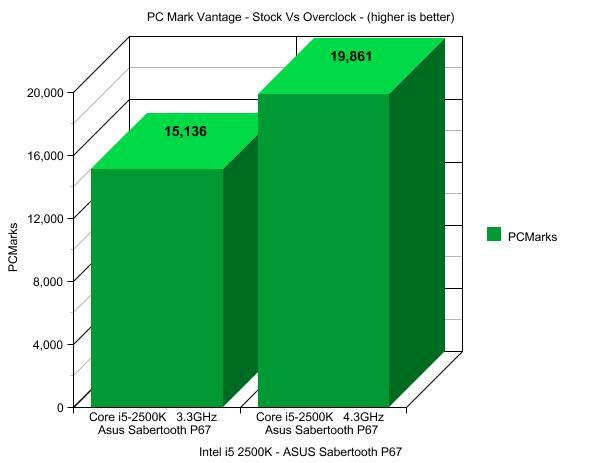 Apparently because the Sabertooth P-67 has high end components like the Alloy chokes, certified capacitors and high end MOSFET’s the 8+2 power phase configuration is just as efficient and stable. E.S.P. implementation helps for efficient switching in the power design. ASUS decided to include an Intel Pro/1000 Gigabit LAN port on this board instead of the usual Realtek controller. 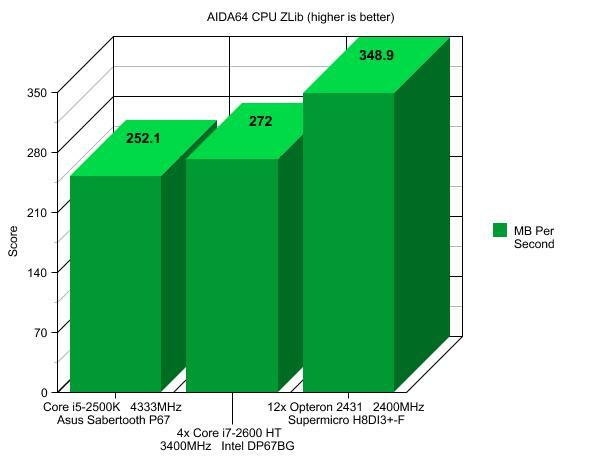 While this may seem insignificant there is a huge performance difference between the two. Throughput is greatly increased (300% - 400%) especially at lower buffer sizes which is common in most of your regular networking tasks. File transfer is very quick and responsive especially if you are moving lots of smaller files around. I know the Intel Pro/1000 LAN cost more but I was very happy ASUS decided to include it on the board. 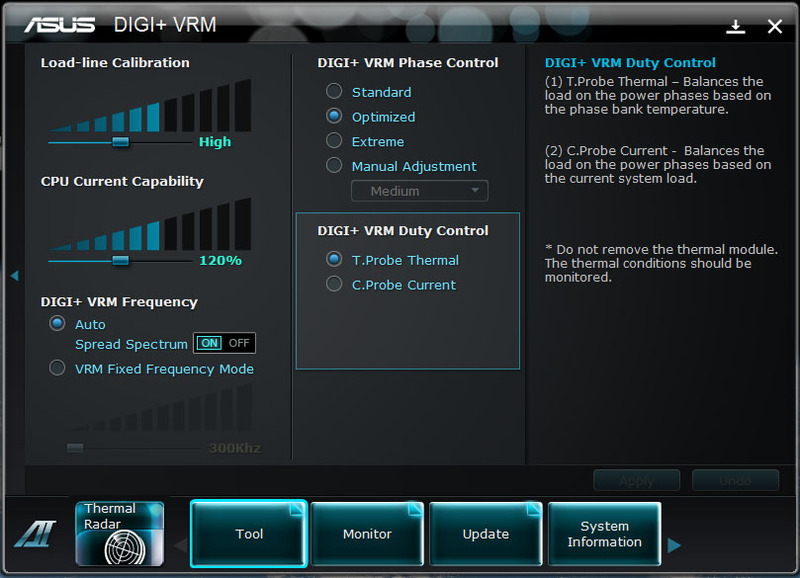 ASUS DIGI+ VRM was a feature that I didn’t know much about but it does make a big impact on the efficiency and stability of the board as well as increases the range of your overclocking capabilities. The AI Suite program is very good at explaining what the various options are for the settings. I selected High for load line calibration and 120% for CPU Current Capability along with Auto Spread Spectrum ON for DIGI+VRM Frequency. On the phase control I selected optimized (see screen shot). OK let’s talk more about the Thermal Armor that is unique to ASUS and to this board. First off, if nothing else it makes the board look awesome. I don’t know why most of us even care because it is just tucked away in a case and we never see it again but hey I went through the trouble of opening it up to show some friend s so you never know. Thankfully beauty is NOT just skin deep on this one … it actually works! I started off installing the board without the Thermal Armor installed just as a test and with the included monitoring software (AI Suite II) I was able to record temperature settings for a period of 6 hours during normal daily use. Now on the board you also have the Thermal Radar which has sensors placed on the board at key component locations so you can track and monitor their temperatures. Things like the PCI ports, SATA6G controller, USB 3.0 controller, CPU, Motherboard, DRAM, etc. can all be monitored and even recorded. Without the Thermal Armor the board ran warm with some of the temps like the USB3.0 were hitting over 50 deg Celsius and the others hovered around 38 - 41 deg Celsius. Once I opened up the case and re-installed the Thermal Armor and all of the temps came down to the low to mid 30’s and the USB3.0 controller came down to 36 deg Celsius. Now the board would probably be just fine at the higher temps but as we all know heat kills when it comes to these sensitive electrical components. By adding the Thermal Armor, ASUS made the system even more stable and inherently increased the service life of the board. Additional ASUS features carried over to the board include MemOK!, ESD guards, QLED, The EZ Mode, EPU, TPU, and lots of fan headers. Yes, ASUS does load up their boards with great features! I selected to install Windows 7 Professional 64bit and the install went without trouble. I installed onto a Corsair F80 SSD 80GB SATA II drive with an ASUS 12x Blu-ray optical drive. Drivers were all included on the disk with the board and ASUS makes it easy to install t hem with an “Install All” button on their install menu. You can even de-select some of the driver/software options after you click that button so you don’t have to install Norton on your system (sorry Norton). Don’t forget to install the utilities as well that are on the install disk as they come in very handy as previously mentioned. After everything was installed I went back to the ASUS website and downloaded the latest drivers and BIOS and installed them … again with no problems at all. I did seem to have a problem with the computer waking from sleep mode and through some research and help from ASUS, I found a work around in the bios by turning off Internal PLL Overvoltage (set to disabled … see image) and had no further problems with the wake from sleep option. 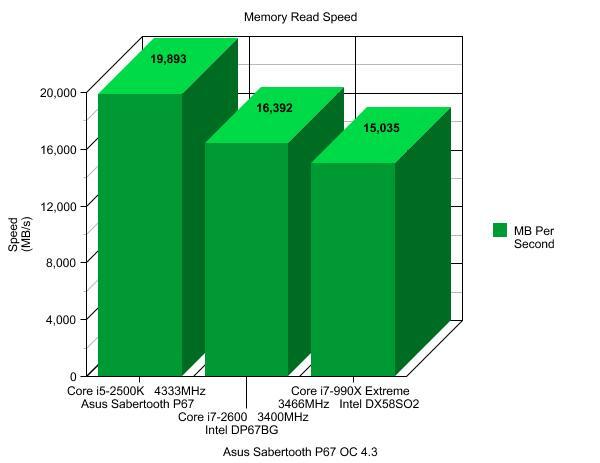 The board performed well in the benchmarking as shown below. I do a lot of graphics work and the Adobe Master Collection CS 5.0 ran like a champ. Much faster rendering was achieved in Adobe Premier and After Effects, very quick and responsive in Photoshop and Illustrator even with very large 1Gb+ images. Rendering out large complex PDF documents went from 30 minutes on my core2duo rig to just under 4 minutes with the overclocked i5 2500K processor. Needless to say I was very happy and the system ran perfectly even with multiple applications open I have yet to have a system hang or crash and I have been working on it for weeks. All of my Mac user friends got nothin’ on me now! :) Anyway here are some benchmark results to look at. 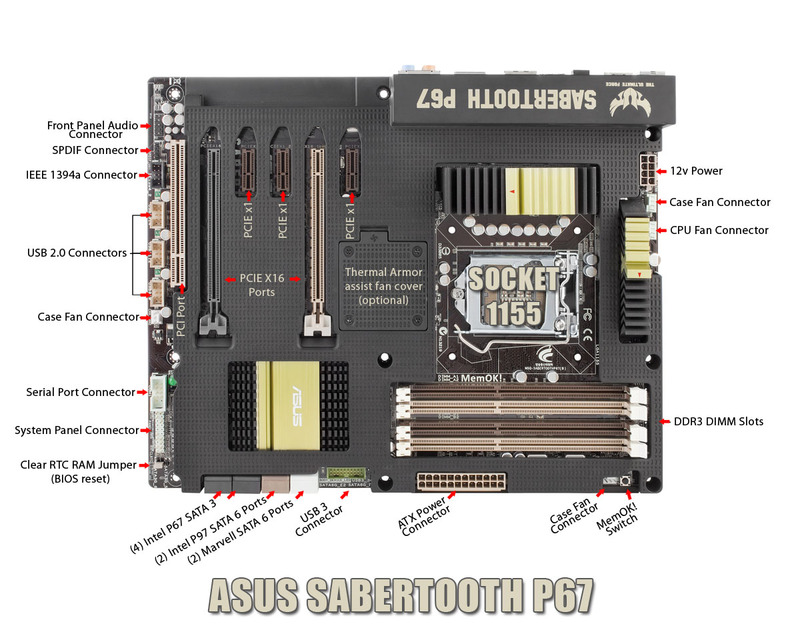 The Sabertooth P67 left little to be desired for a stable and reliable workstation platform. The SATA port orientation and the lack of an included 50mm assist fan are probably my only two complaints but are c ertainly not a deal br eaker. 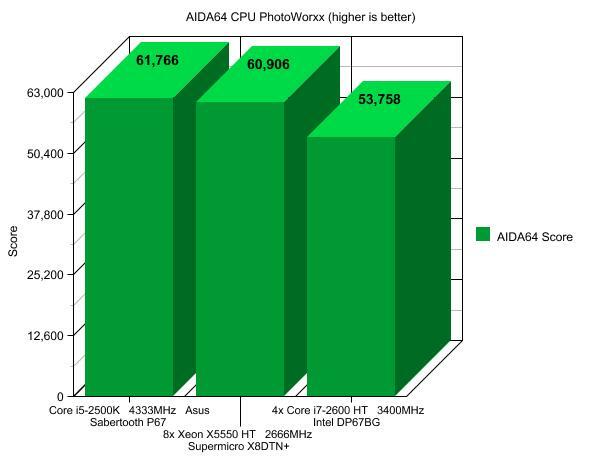 The board is obviously built around being efficient and reliable with the ASUS DIGI+ VRM and the unique Thermal Armor and Thermal Radar being key components to running cool, lean and mean. It is also comforting to know that this board should last a long time with the 5 Year warranty and can be relied upon to perform day in and day out in those “has to work” environments. One of my favorite features was the new EFI BIOS and how super easy it was to auto overclock the system and how stable it ran at those “auto” settings. I have no problem highly recommending this board to anyone that needs a computer that they depend on for work or for play. Based on its amazing features, build quality, and stellar performance, that Asus Sabretooth P67 has earned our Editor’s Choice Award. 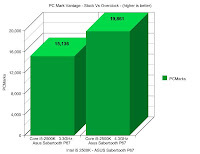 For more info and complete specs, c heck out their website at www.asus.com.